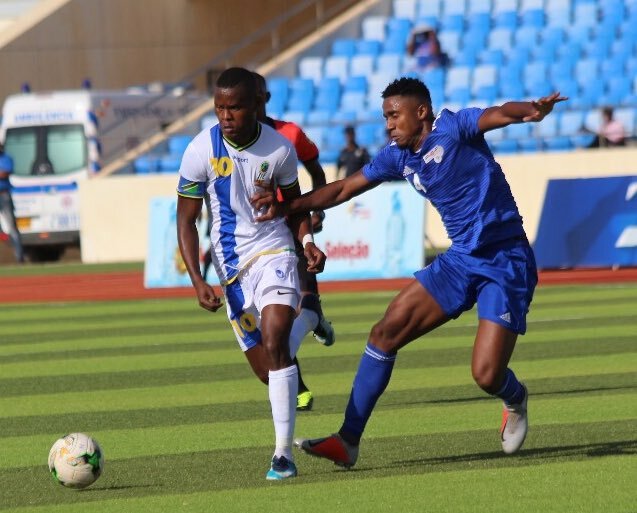 Cape Verde Islands recorded their first victory in the on-going AFCON 2019 qualifiers, triumphing 3-0 against Tanzania at Praia stadium on Friday. Ricard Gomes scored twice in the opening 23 minutes as the West Africans took a 2-0 lead heading to the half time break. Gomes struck the opener in the 16th minute before he added the second seven minutes later. Stopira then wrapped the scoring business with the icing on the already baked cake with five minutes to the climax of the game. This was the first win of Cape Verde having lost 1-0 at home to Uganda in the group L opener in Praia before rallying from a goal down to hold Lesotho to a one all draw in the second leg. Cape Verde Islands thus overtakes Uganda Cranes aloft the summit of group L.
Both countries now have four points but the Islanders have a goal advantage. Tanzania is now rock bottom with two points as Lesotho who face Uganda on Saturday remains third with two points. Last edited by Kabalega on Mon Oct 15, 2018 9:51 am, edited 1 time in total. ...I felt sorry for Amunike, seems his players not cooperating. hey!! , do you know that Cabo Verde team is full of players from the Portuguese league? Could it be that Cape Verde is a good team? To earn a draw at Cape Verde was unexpected to be frank. Cape Verde is a tough team and had been ranked head of Nigeria on some occasions. They are cooperating but not good enough. They will still be thrashed if they had klop as their coach and Mesi in the team. Does Tanzania have any star players? In hindsight this may have been a wrong move for Amuneke. Hope the damage to his pedigree is not much. They have a very dangerous striker, Samatta who I believe, plies his trade at FK Genk. Samatta is very good, but Cape Verde is just a stronger side.